It’s the last of its kind and it was almost lost. 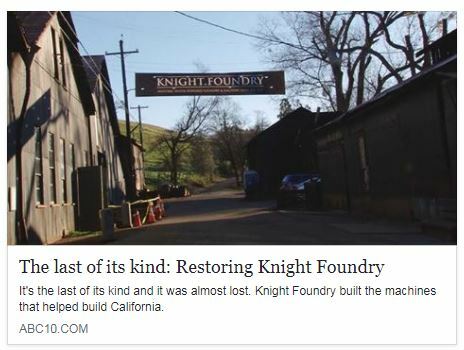 Knight Foundry built the machines that helped build California. The water powered machine shop was turning to rust until a group of volunteers restored it. “This is the last water powered machine shop in the United States,” said Knight Foundry Volunteer Ron Edgar.